Rare was awarded second place by local liquid fuels and chemicals producer, Sasol Synfuels’, in their Supply Chain Supplier of the year category. The award was given at Sasol Synfuels’ Shutdown Recognition function held on 23 November 2012 for outstanding performance and service delivery. This is not the first time Rare has received recognition from Sasol who in 2010 was awarded Sasol Synfuels’ Luminous Award 2010 for being its preferred supplier. Rare reports that receiving the Sasol Synfuels Luminous Award for the 2010 Preferred Supplier of the Year was an achievement underscored by the fact that this was achieved during a year which saw the largest maintenance shutdown in the history of the company, resulting in the highest level of activity realised from the account to date. 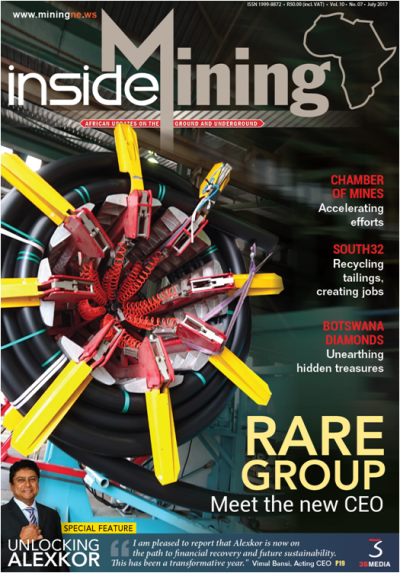 Rare was first awarded the Sasol Synfuels Pipes, Fittings and Flanges supply contract in 2000 and has successfully retained the contract ever since, securing Sasol as a significant partner over the years.